The battle for the mind dates back to Genesis 3, when the first human beings lost the battle and left a bequest with dire consequences that still plague us. They failed to recognize their protagonist, the nature of the confrontation, or its significance. Today, millennia later, the confusion persists. Countless words continue to be written in what seems to be a fruitless effort to single out causes for the problems that frustrate society and the world. An introduction to the thought and work of G.K. Chesterton, a remarkable British journalist whose keen grasp of the essentials of Christianity, in combination with a razor-sharp wit, produced works on the Faith that remain classics. Chesterton decisively demonstrated why classic Christianity is more exciting, more romantic as he put it, than its modern rivals. 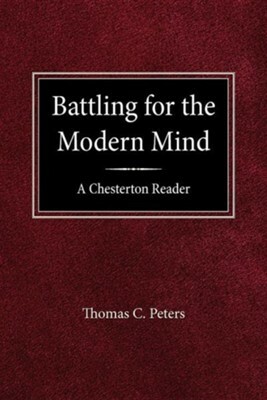 I'm the author/artist and I want to review Battling for the Modern Mind: A Beginner's Chesterton.